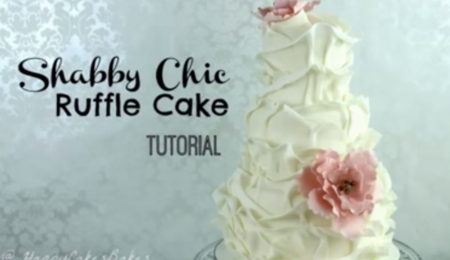 This is an alternate to the standard fondant recipe. 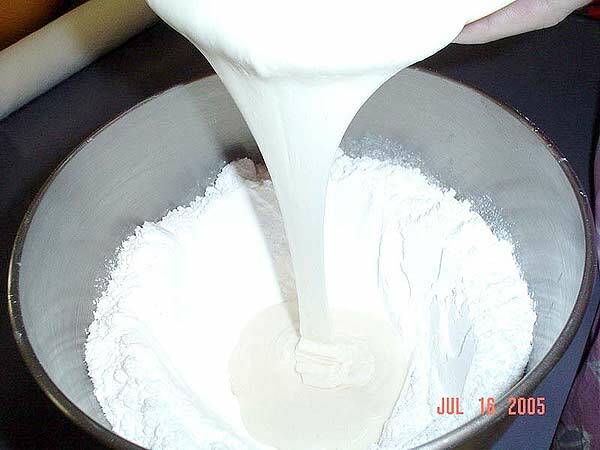 Creates a delish tasting marshmallow fondant that is cheap and easy to make. 1. 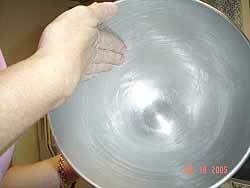 Grease your mixing bowl and a pyrex or glass bowl that can be used to melt marshmallows in the microwave. 2. 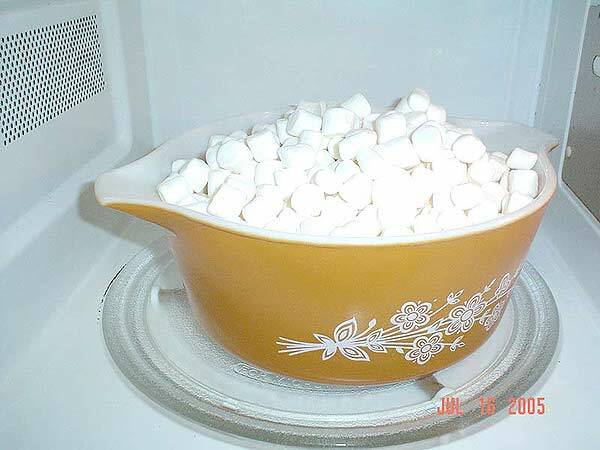 Place 16 oz bag of marshmallows, 2 Tablespoons of water and 2 teaspoons of flavoring of your choice in pyrex/glass bowl coated with shortening and microwave on high for 60 seconds. Stir. If all the marshmallows are not melted, return to microwave for approximately 30 seconds. Stir. Continue this procedure until all marshmallows are melted. 3. 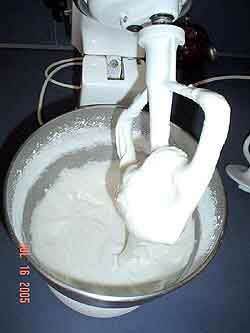 Sift one half of the 2 pound bag of confectioner’s sugar in a mixing bowl which has also been greased with shortening. 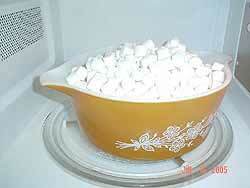 Make a well in the center of the confectioner’s sugar and pour the melted marshmallows. 4. I use the paddle attachment for my KitchenAid mixer for this first part of the mixture. Mix until all the melted marshmallows are incorporated in the confectioner’s sugar. Mixture will be thick but still a runny. Sift the remaining half bag of confectioner’s sugar into the mixing bowl with the melted marshmallows. 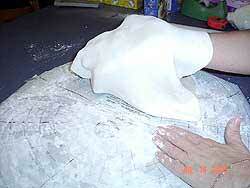 Change to your dough hook attachment as this will get extremely thick. 5. Wrap fondant in saran and make sure no air gets to it. It really needs to sit about an hour or so to cool down completely from the melted marshamallows. It needs to be air tight so it will not dry out. Buttercream icing was spread over the styrofoam dummy cake thick enough to cover the saran wrap. I let the buttercream icing sit for approximately 15 minutes and then I smoothed with a Viva papertowel. 7. 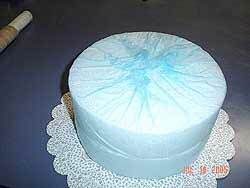 Your cake needs to be as smooth as possible as fondant tends to show imperfections. 9. 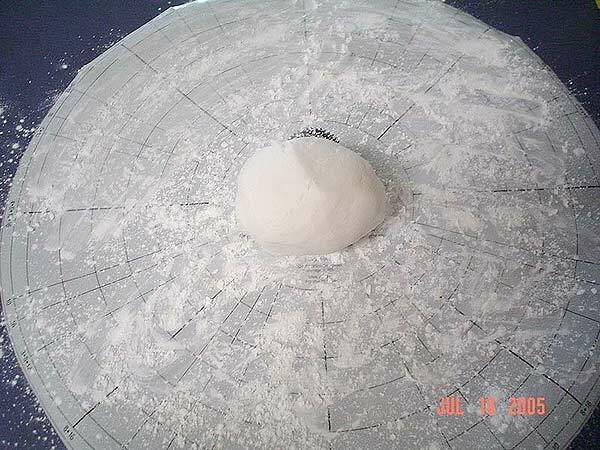 Take approximately two-thirds of marshmallow fondant and place in the middle of a measuring wheel (I use the Wilton measuring circle) or on a very smooth surface that has been thoroughly coated with cornstarch 9. Roll fondant out until approximately 1/16 inch thick. 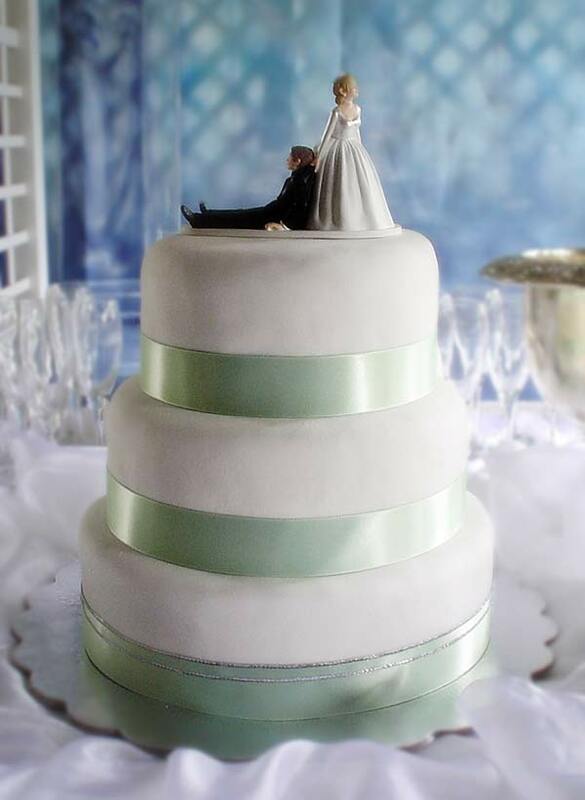 Make sure you keep you surfaces coated with cornstarch so your fondant doesn’t stick. 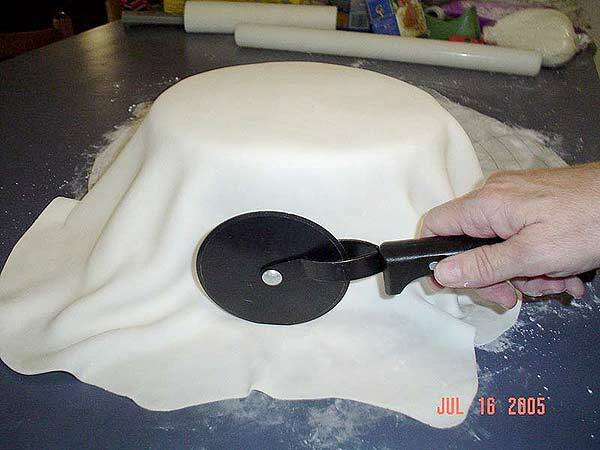 Lift the fondant while rolling to make sure it’s not sticking. There is nothing worse than rolling out the size you need, lifting and finding your fondant has stuck to the surface, so use plenty of cornstarch. 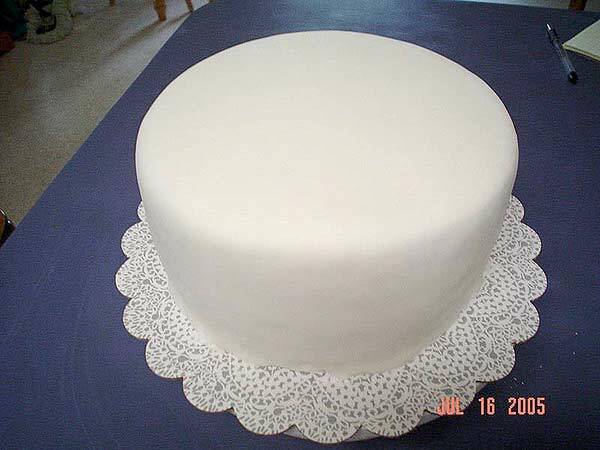 For the dummy cake, you will need an approximate circle of 16 inches; 4 inches for each side (8 inches total for both sides) and 8 inches for the width across the top. 10. 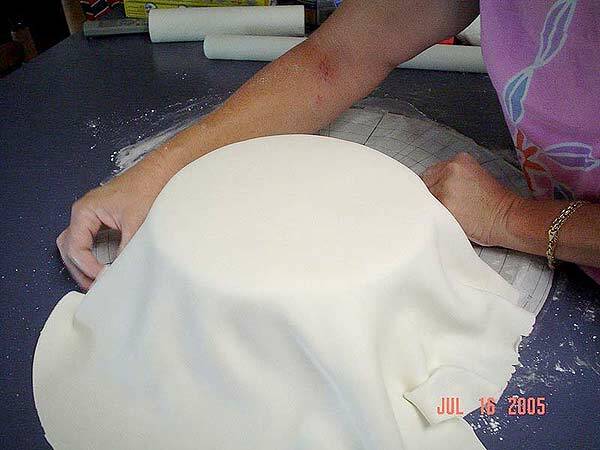 Each person does their method for moving the fondant to their cake differently. Some use a rolling pin. I pull my cake very close to the fondant, lift one side of the fondant, place my hand about in the middle of the circle on top of the fondant, flip the fondant back over my hand, then move it to my cake. Having my hand in the middle of the fondant helps me to know about where to place it on the middle of the cake I then flip the fondant off the top of my hand and cover the remaining side of the cake. 11. 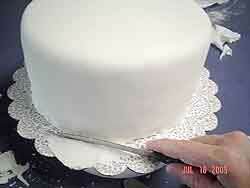 After you get your MMF on your cake, lightly smooth the top with your hands. For the sides of the cake, I use a pizza cutter to remove the extra MMF. I trim all around the cake leaving enough to completely cover the sides. After the majority of the excess MMF has been trimmed, I lift and smooth and trim again. 12. 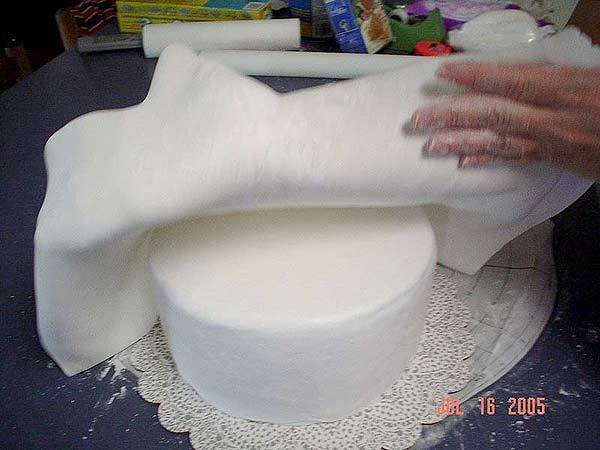 Be careful not to stretch your MMF as this will cause you to have too much fondant on the sides and will make creases when you try to smooth. I smooth from the top to the bottom, gently pressing the excess towards the bottom where I can trim it off. 13. I lift, smooth from the top on the sides down to the bottom edge of the cake working around it trimming off the excess. 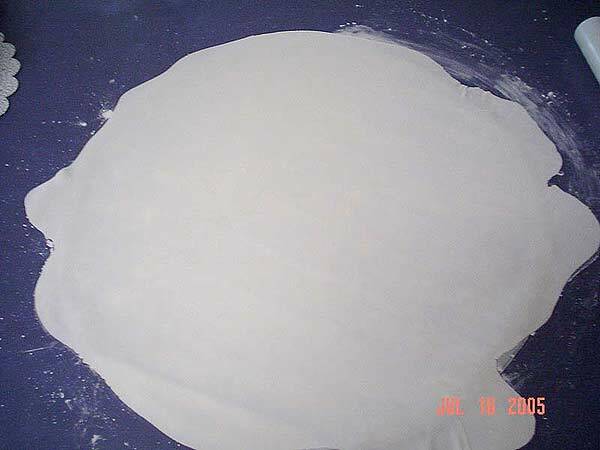 Continue lifting the MMF carefully, smoothing and trimming until you’ve gone completely around your cake. It was a dream to work with! I usually make my fondant with gelatin, glucose, icing sugar, etc. and it is a fairly messy procedure. The MMF was cheaper and quicker to produce and rolled out beautifully. Very resilient also. 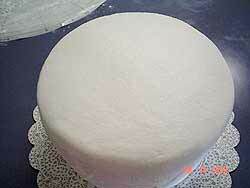 I had trouble with air bubbles on my 2nd tier but peeled the fondant off and let rest for a half hour. Then warmed in the microwave and it rolled out nicely. Very few imperfections. Sweeter than I'd like so I may try adding lemon juice next time. Looking forward to trying the chocolate MMF next. I'm trying to design a 3D rainbow with RKT & Wire so I wanted to try Fondant. I used this recipe yesterday with my Pro Series KitchenAid. I used the exact measurements as stated. It was nothing but crumbles. I added more sugar, I added water, I added corn syrup and finally added more Almond Extract. My poor mixer was smelling and then I added some additional Crisco. FINALLY it came together, I then wrapped it and let it set for several hours. Then I rolled it out, to find that it was sticking with with every swipe, I even ran it throughout the pasta machine. The taste was great, but it was too thin and would tear. I then tried to apply it, but then it would stick, even after I used a smidge of water to seal it. I admit that I"VE NEVER worked with Fondant before, but I know that it wasn't right. HELP! Ok, I have made this recipe several times, (by hand, no corn syrup - which I am going to attempt this round) - my question is this: I do not cover my cakes in Fondant, I only use it for decoration - what is your suggestion therefore when it comes to refrigeration, as my final product needs to be refrigerated. You ladies are so knowledgable about this technique. 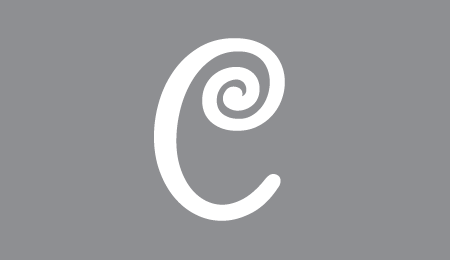 I am a new baker and do want to try fondant. The MMF does seem to be the consensus to use. Did anyone go to class first? And, is this expensive to do? I have MS and have to watch my baking expenses. Thanks for replys. I have been to a couple classes in which we used MMF. I will try to answer some questions according to what we learned in class. Our recipe is the same featured here. If you use generic products it doesn't always turn out white. Use mix of powdered sugar/cornstarch for dusting. Add Crisco when mixing/kneading to achieve smoother texture. If it's dry -add more Crisco. Too wet or sticky -more sugar. Figures can be made with adding a bit more sugar for stiffness and allowing to dry for a few days. Can be refrigerated but will sweat when warming. It is cheap to make and.tastes great. 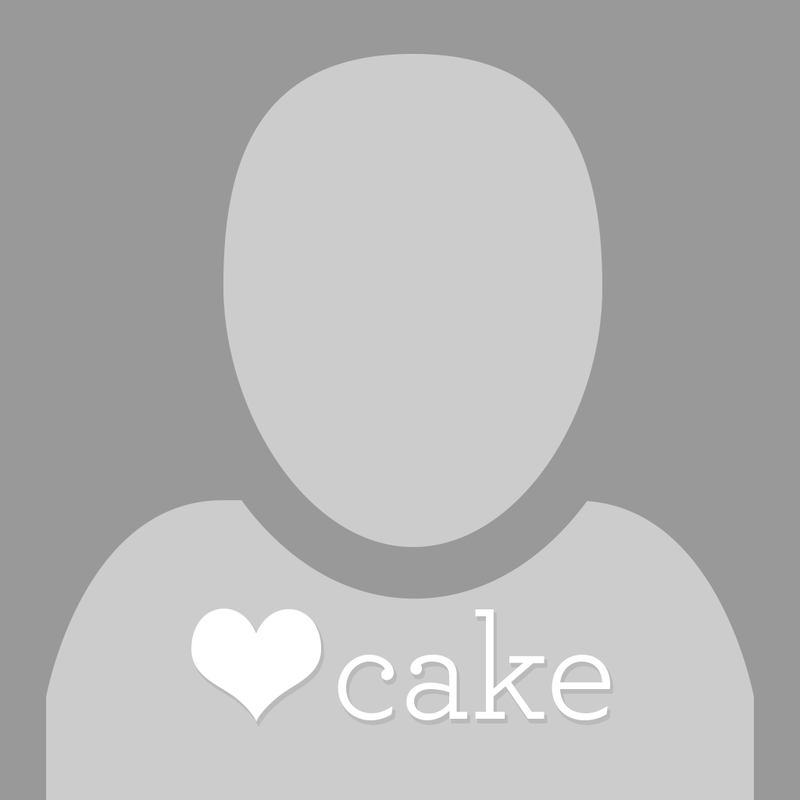 Hi Kimperete, yes you can add color to the fondant. The easiest and fastest way is to put it in the melted marshmallows mixture, before adding the sugar. But you can also knead it in already made fondant. You just have to knead it until the color is uniform. I find it helpfull to stretch it over and over. I love MMF and have been using it for a while now. Sometimes, though, I have some trouble using it and I was wondering if it had happened to you too, MMF users? If I use no name marshmallows or less fresh ones, sometimes it doesn't give me a great result. If it's really hot, like last week here, it tears more easily when I apply it on my cakes. If I put too much shortening in it, trying to make it more pliable, it tends to rip too. When I put the fondant on my cakes, the weight of the excess fondant around the cake stretches the applied fondant and before I have had the time to trim it, it's already ripped or almost ripped some parts. It happened to me particularly for a ball cake. To answer a question I read...it works too over a cream cheese buttercream. By the way, I always use the kitchen aid mixer method and it's REALLY less messy, easier and faster! It was my dream to get that mixer one day and last year, my wonderful husband gave me one for mother's day...WOW!!! Since that day, I use it for my MMF and I love it! 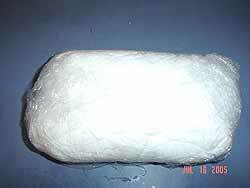 Personnally, I make many colors, then freeze them in small portions, airsealed. It allows me to use only the amount I need for my cake decorations, all year long. I do the same with gumpaste. I also freeze cakes and buttercream. I'm about to try freezing modeling chocolate. I had never used modeling chocolate until last week and it tastes and works great for decorations I can't get hard enough with MMF.